Did Trends Win The Last Pertemps Final Handicap Hurdle? 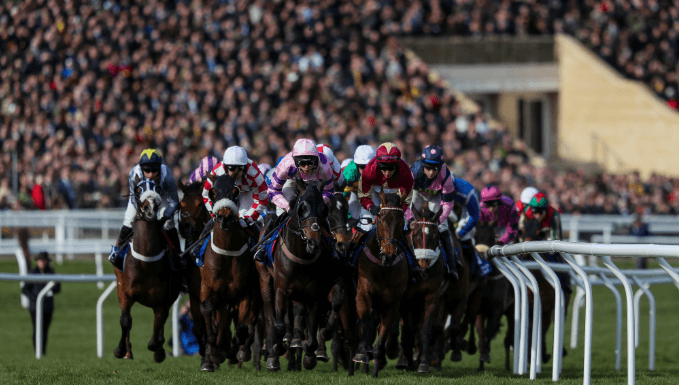 On the Pertemps Final trends in 2019, a shortlist of four found three of the first four, in a notoriously tricky Cheltenham Festival betting heat. Fitting particularly well into the 10-year-trends was third Not Many Left, who had run up to Grade 3 level as a novice and had won last time out on handicap debut over 3m1f. Half of the last 10 winners of the Pertemps Final Handicap Hurdle had never won a handicap hurdle before, the remainder winning no more than two. This is a key trend to follow, and one that applied to winner Sire Du Berlais, and fourth Cuneo. Sire Du Berlais was more highly-rated than most winners, and booked for plenty of weight at 11st 9lb, but had to be respected coming from the yard of top race trainer Gordon Elliott. The final horse on the trends shortlist was unplaced First Assignment, who although he had won three handicap hurdles, was still rated just 142, and boasted wins over 3m and at Cheltenham. He had also been third last time out, but was beaten by the soft ground at the Festival and finished ninth. In an episode of Deja Vu, Sire Du Berlais gave trainer Gordon Elliott back-to-back Pertemps Handicap Hurdle Final victories, justifying 4/1 favouritism by the narrowest of necks. The seven-year-old, donning cheekpieces for the first time, had finished fourth in the previous year's Martin Pipe Conditional Jockeys Handicap Hurdle, and was set to race off an almost identical handicap rating. JP McManus French recruit had still not won a hurdle race outside France, but this is a race that has regularly favoured big weights, and jockey Barry Geraghty was not for stopping. Given a patient ride, Sire Du Berlais got into the mix at the last hurdle and rallied up the hill to lead in the final strides, Tobefair chasing him all the way, but failing by a neck. Not Many Left and Cuneo, who had lead at the last hurdle, held on for third and fourth, the winner's stablemate A Toi Phil a distant fifth.